With a private beach, surrounded by dunes and evergreen coco forests, Talkoo Beach Resort Khanom is a perfect candidate for those looking to find peaceful beachfront accommodation that is not too far removed from all the fun and activities of town. The 75 large rooms are bright with a tranquil, uncluttered feel. Each room is decorated in contemporary style, complemented by traditional art and locally made handicrafts. The onsite massage parlor offers an array of blissful natural treatment packages to guests who want to be pampered, while the restaurant – surrounded by tranquil scenery – is sure to blow your mind away. 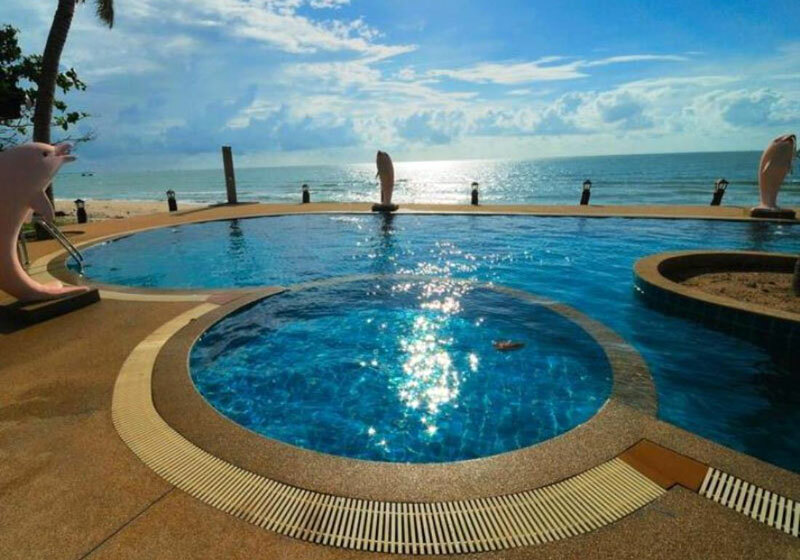 Talkoo Beach Resort Khanom lets you enjoy a romantic, laidback holiday in the most beautiful of settings. Short Description: With a private beach, surrounded by dunes and evergreen coco forests, Talkoo Beach Resort Khanom is a perfect candidate for those looking to find peaceful beachfront accommodation that is not too far removed from all the fun and activities of town.